I was mentally prepared to spend a couple of hours on the road when I accepted the invitation to attend the Preview Lunch of Awadhi Food Festival at the Indian specialty cuisine restaurant Dilli 32 at Kempinski Ambience Hotel Delhi situated near Yamuna Sports Complex in Shahdara East Delhi. Like most people residing in South Delhi, it was a daunting thought to step out of the 10 km radius around which our lives revolve and venture that far. However the barrier proved more mental than real and I was surprised to find myself at the venue in less than 40 minutes on a day when, for some strange reason, there was not much traffic on the Delhi roads. Having arrived a good 15 minutes earlier than the scheduled time, I decided to utilize it fruitfully by having a look around the property, which I was told is the flagship hotel in India of Europe’s oldest luxury hotel chain, Kempinski Hotels. The group joined hand with Delhi based Ambience Group, a real estate development company (of Ambience Mall fame) after parting ways with the Leela group with which it had a marketing alliance and the Kempinski Ambience Hotel began operations in East Delhi in December 2012. Why East Delhi? Because it is an upcoming area which did not feature any property in the luxury segment to cater to its burgeoning populace who appreciate high quality services & facilities and have the resources to indulge in it. The hotel houses the largest pillar-less banquet hall in India which can accommodate 6,000 guests. Impressive. 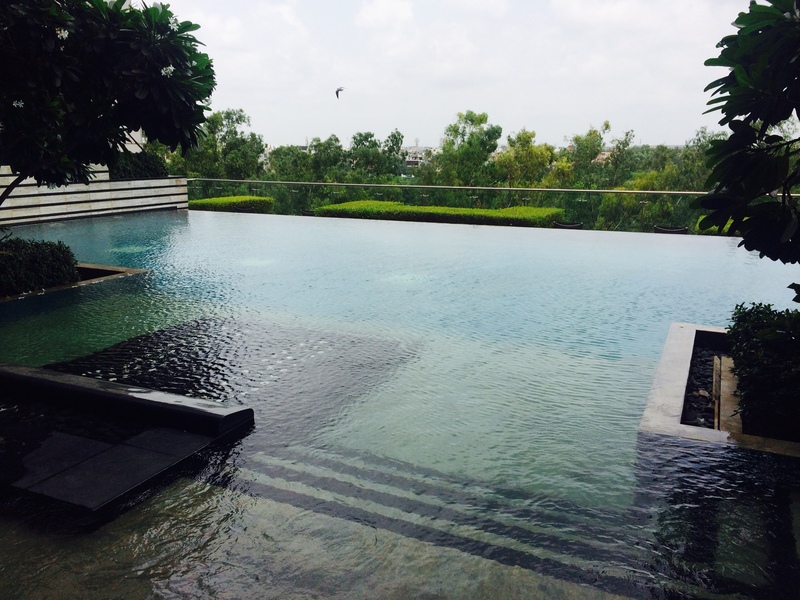 More impressive was the outdoor Infinity Pool which overlooks a green patch. I couldn’t resist clicking a photograph and much as I would have liked to take a dip in the pool, I had to remind myself what I had come there for, which was to enjoy the Awadhi repast which was awaiting me. When one hears the name Awadhi cuisine the first images which conjure up in the mind are of mouth-watering kabebs, qormas, nahari, kulcha, sheermal. Inspired by the Mughal style of cooking, this cuisine which hails from the city of Nawabs, Lucknow, is famous for its “dum” style of cooking which is the art of cooking over slow fire. Having lived in Lucknow for three years and being familiar with the nuances of this cooking style, I was pleasantly surprised to find most of the dishes at the Awadhi Food Festival had a mark of authenticity and were replete with flavour. 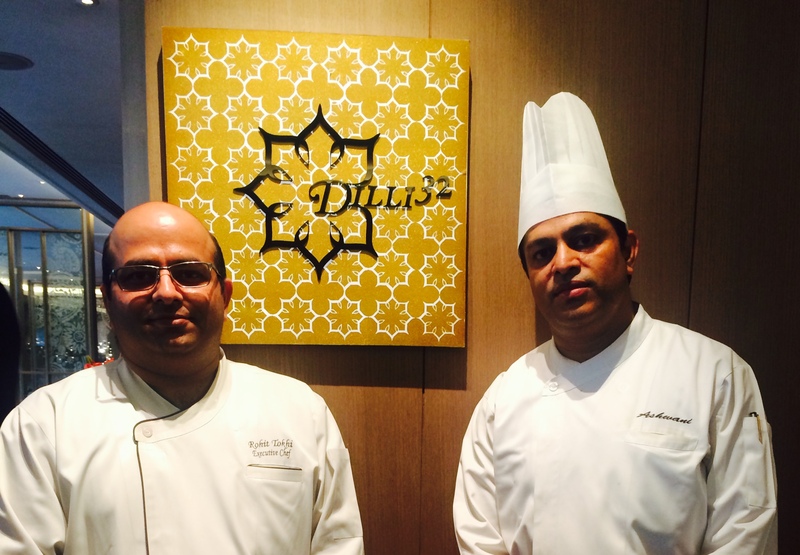 The credit for this goes to Chef de cuisine Ashwani Kumar Singh, an unheralded talent who possesses an in-depth knowledge as well as a passion for Awadhi cuisine which comes across in the detailing and execution of each dish. He has managed to bring the magic of Awadh to the guests as those who attend this festival will find out to their delight just as I did. Chef Ashwani is ably guided by Executive Chef Rohit Tokhi who belongs to Lucknow and has an insight into what exactly the cuisine entails along with Rajkumari Alka Rani Singh of Pratapgarh U.P who has shared some of her precious family recipes to help recreate traditional Awadhi dishes from the royal kitchens of Lucknow. Coming to the food now, some of the starters which stood out for me were Shammi Kabab made with minced mutton, raw mangoes and spices which had just that faint trace of sweet attar or perfume which got my attention and kept me captivated, Kathal or Jack fruit tikka, Tawa champ and fennel flavored Jinga (prawn) saufina. In the main course, the vegetarian dishes which I enjoyed were Rattan manjusha which was spinach dumplings stuffed with mushroom, dry fruits & honey (generous use of dry fruits was a hallmark of Awadhi cuisine since it symbolized prosperity & opulence), Shakahari Kheechra made with pearl barley, wheat and lentils and Gucchi (morels) biryani. Among the non-vegetarian dishes, the Band gosht, Bater hara salan (quail in coriander & poppy seeds based gravy) and Murg Musallam (whole chicken stuffed with khoya, nuts and eggs) were very well made. The only dish which did not work for me was the Murg ki khas nehari which lacked a little flavour. Or maybe we are so used to Mutton nehari that the chicken version seemed odd. A word about the desserts which were quite extraordinary especially the Kacche aam ki kheer and mirchi ka halwa made with capsicum, the latter being an innovation of Chef Ashwani and a must have at Dilli 32 (this number incidentally denotes the postal pin code of Old Delhi). It is a dining destination worth trying out even if it means traveling a bit extra or out of the way. 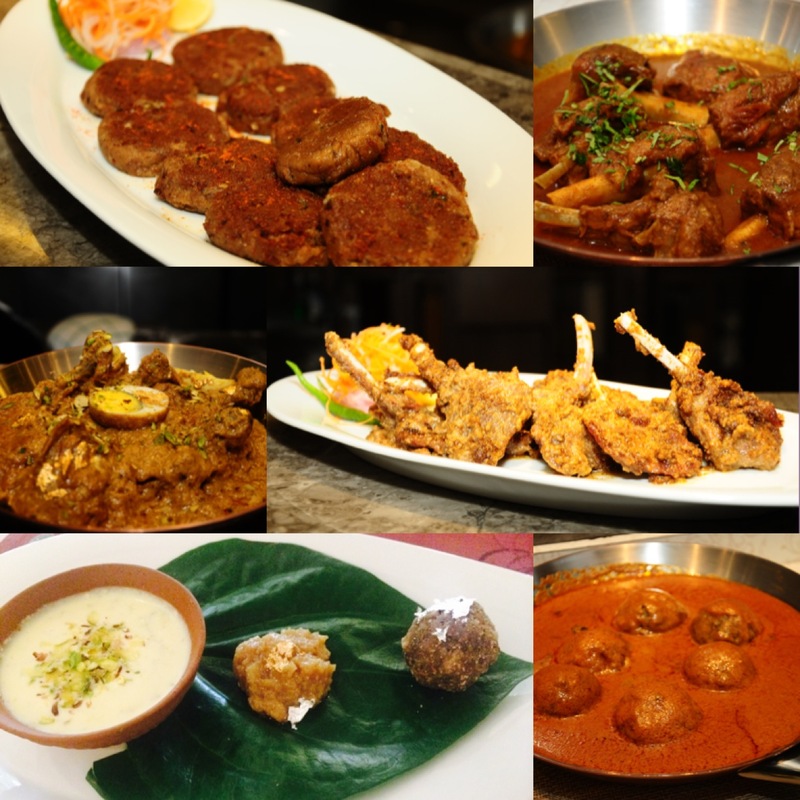 Some of the dishes at the Awadhi Food Festival. A few pics Courtesy Kempinski Hotel. Awadhi Food Festival at Kempinski Ambience Hotel is on till the 30th of August. The restaurant is open only for dinner.